This is Bonify's new cruising ground. 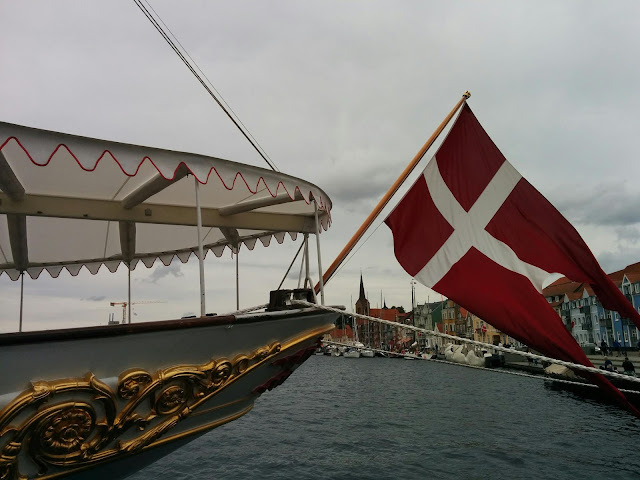 From now on we're on the lookout for a winter berth. We want a secure boatyard where she can be lifted out in September, mast still standing, and covered up until we come back again next spring. We're looking at transport links, prices (of course) and also hoping to find a place we like the feel of. There are some big marinas out here which feel a bit impersonal - small yards are often friendlier places, much more our thing as long as they have a crane or hoist big enough for our 12 tons. Smaller places tend to be cheaper too. 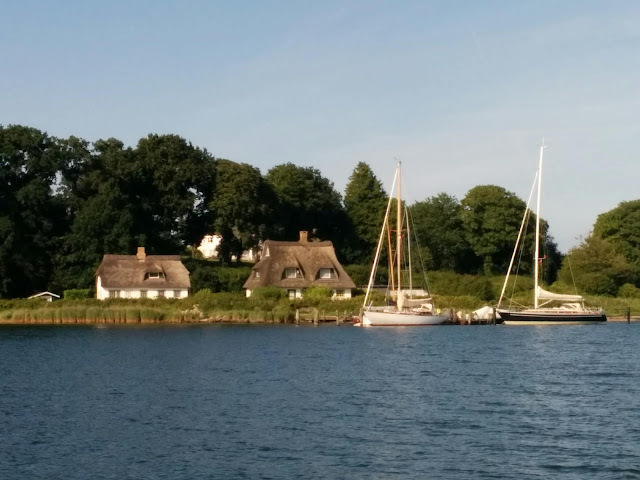 The River Schlei has a few places for us to check out, and Pete and Sarah are interested in doing a "recce" too, in their case for suitable cruising areas and slipways for potentially bringing a small boat and campervan out here for a holiday. 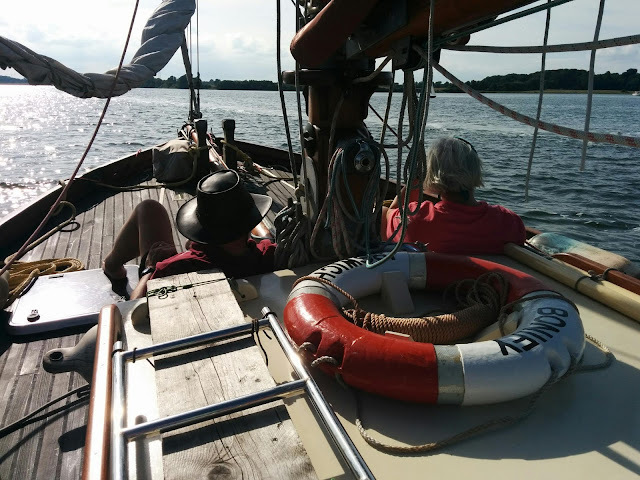 No ordinary small boat I should mention: it's a gaff rigged Wayfarer complete with topsail! The River Schlei looks just right, and we've only seen a fraction of it. 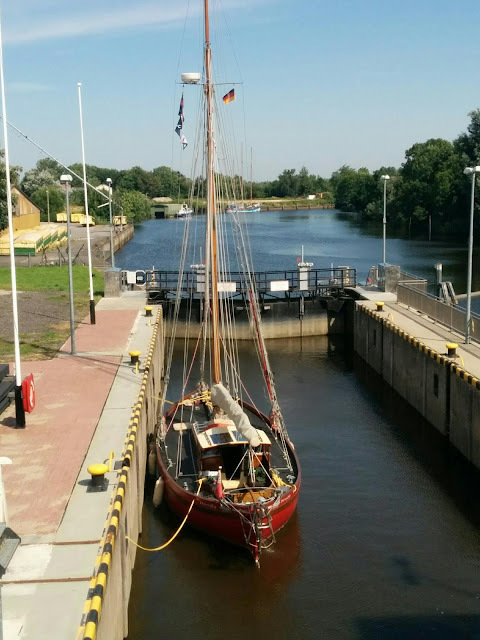 We continue just as far up as Kappeln, inspecting cranes and yards and slipways as we go, jotting down names and phone numbers where displayed. Then we turn round before the bridge and head back out to a quiet anchorage at the mouth of the river.